We are excited to bring the vast array of Daphne's talents to the Pioneer Wealth team. After years of expanding in the wealth advising field, Daphne Jordan has decided to join forces with Pioneer Wealth Management. As Wealth Advisor, she works with clients to map out their financial and investment goals. 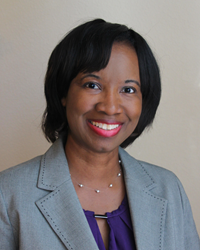 Additionally, Daphne brings a wide range of skills to Pioneer Wealth Management Group including her degree in Mathematics from the University of Texas at Austin and experience as a Business Manager at PromiseLand Church. Pioneer Wealth Management Group was founded in 2004 in Austin, TX as one of the few sources in Austin of fee-only fiduciary financial advice. Today they have offices in Austin and Dallas and continue to work toward the goal of making unbiased fiduciary financial advice available to everyone.